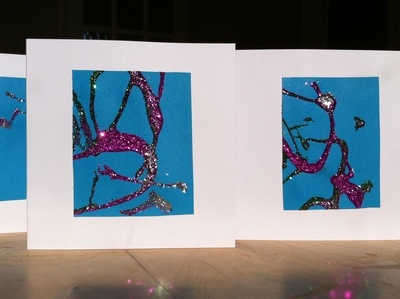 Quick and easy cards that always look good. 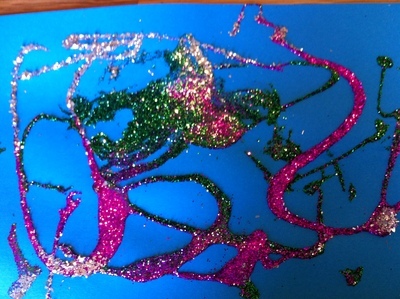 Great for toddlers and children with short attention spans or if time is short. 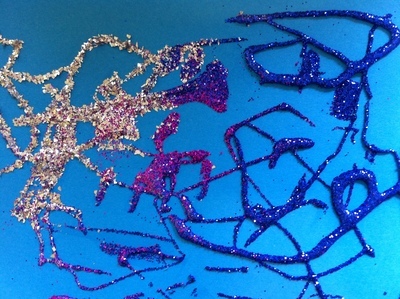 Who does not like a bit of glitter?! 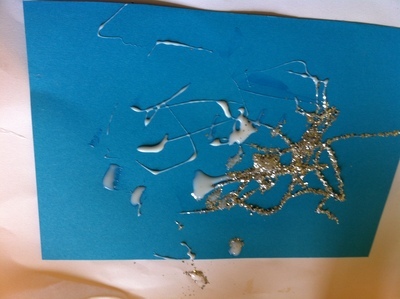 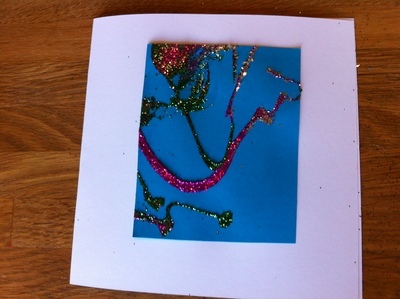 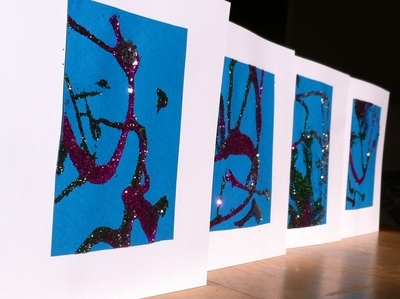 On a piece of coloured card, make a pattern with PVA glue. 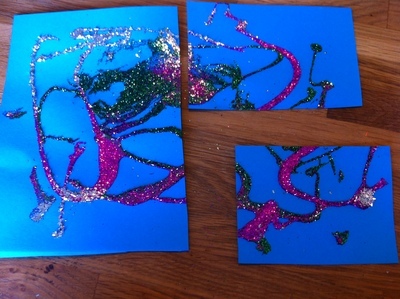 You'll get the best results if the glue is drizzled on and let your child do their own pattern. 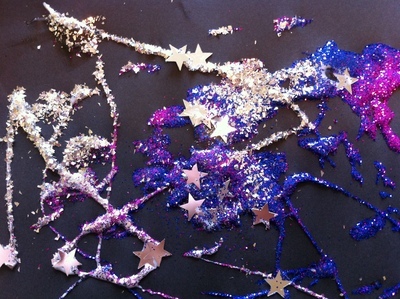 Glitter makes everything look good. 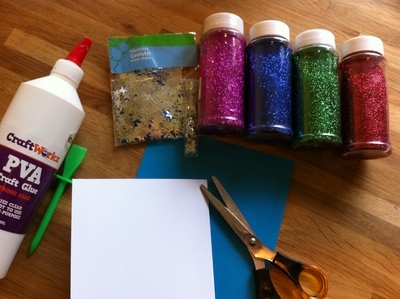 Then tap off excess glitter. 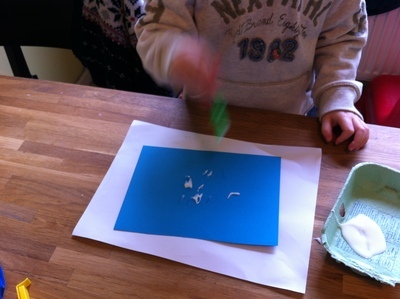 More glue can be added and the process repeated if there are areas not covered.